When it comes to flowers, Vogue.com’s Style Editor, Edward Barsamian gravitates towards a monochromatic palette. Like an off duty model, his arrangement feels effortless and youthful. 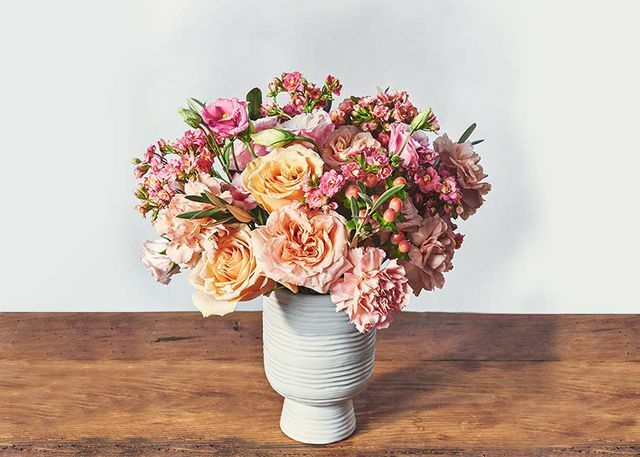 Matching similar hues like peach tinted roses and blush carnations, this bombshell of a bouquet is polished and understatedly chic. This bouquet is cut shorter than other bouquets in the Fall Edit to complement the six and a half-inch vase.